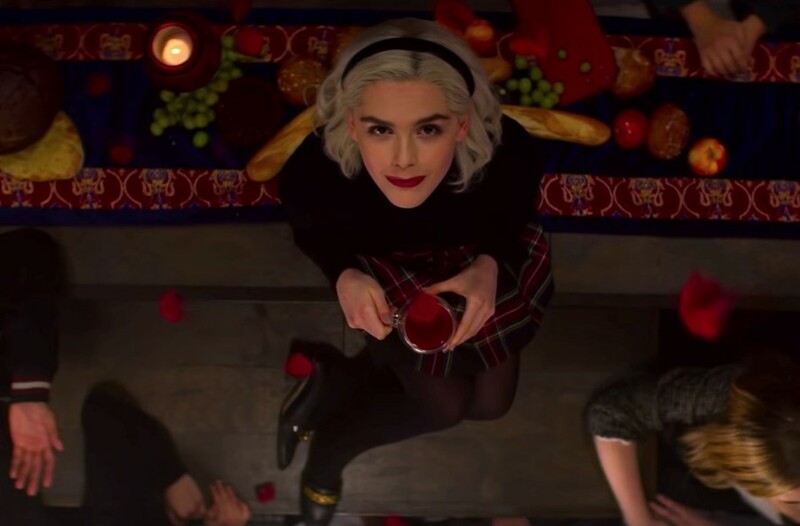 Part two of the Chilling Adventures of Sabrina is dropping sooner than we first thought, and it looks like the teenage witch is fully embracing her dark side. The dark coming-of-age story picks up as she explores her powers since going through her dark baptism and deal with the devil. Sabrina (played by former Dazed cover star Kiernan Shipka) finds herself pushing for more answers about her heritage, while navigating her mortal world friendships with difficulty. Sabrina also engages in an “unholy love triangle” with Nicholas Scratch and her sweet mortal ex Harvey Kinkle. The darkness seems more alluring for Sabrina than ever – the trailer gives us glimpses at some demon sacrificing, bloody baths, pouring gasoline on her old high school, and flirty dances. Elsewhere, it looks like The Dark Lord, Madame Satan, and Father Blackwood continue to torture and ignited chaos with the Spellman household and the town of Greendale, and there looks to be new additions to the plethora of supernatural enemies. Watch the trailer below. Part two of the Chilling Adventures of Sabrina premieres on Netflix on April 5.